How the expohills website looks like? It looks like a good site but it is a very BAD SITE and it is scam site. 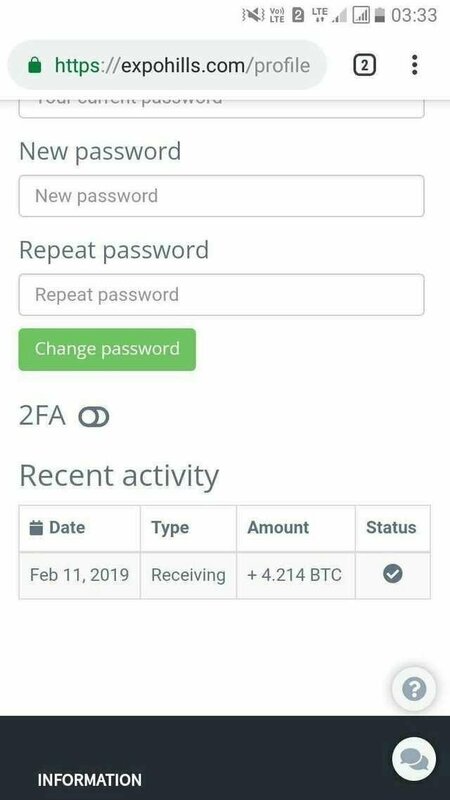 They will try to make an account in this and send BTC to your acount and we felt happy that we got so many BTC. 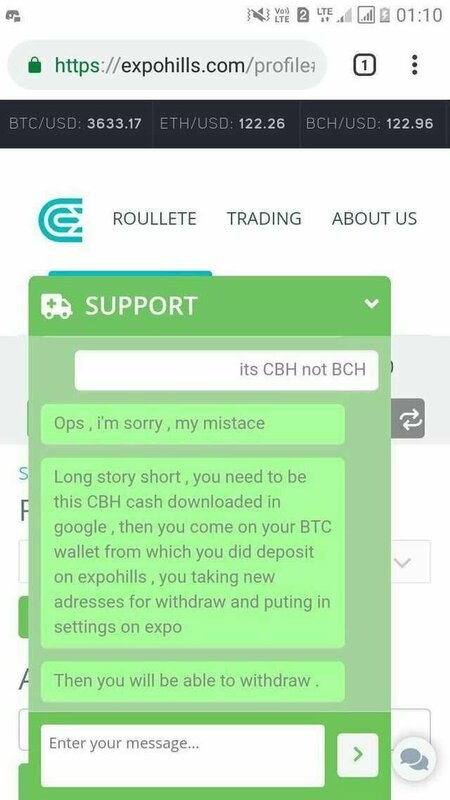 But problems comes here when we try to withdraw BTC it won't all your BTC to withdraw as it is frozen by them. 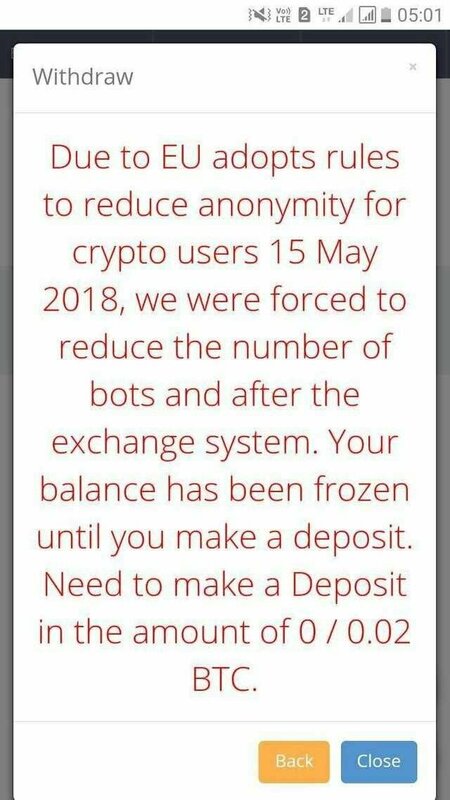 And it asks to deposit 0.02 BTC to withdraw BTC and when we deposit 0.02 BTC we have to understand that we lost our money. 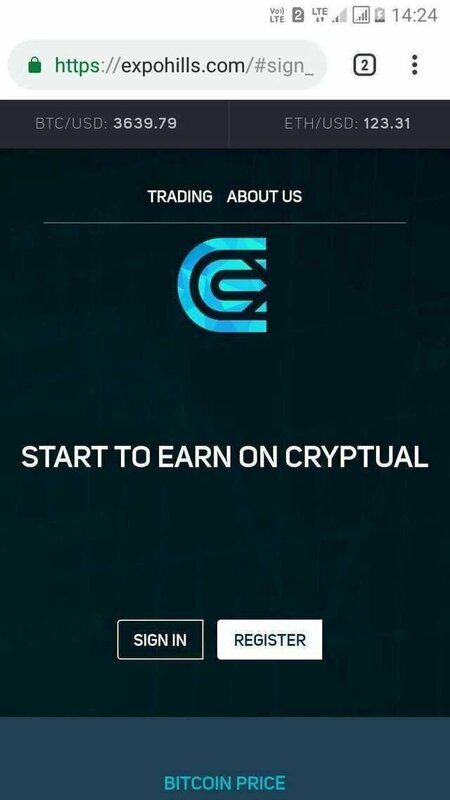 When we ask them in support they says that to withdraw you should be listed in contract trade group it means here they start to hack your pc. In chat box u will find these few people only.and your messges will get deleted by them. They gives you one promocode to use to download an extension.the extension name is CBH and they tell us to sync the coinbase account (addresses) with this extension.when we do this our pc will get hacked. 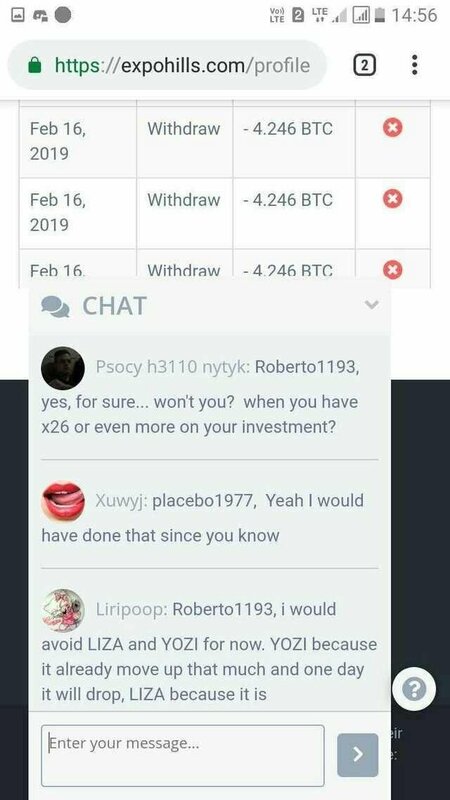 Eventhough the BTC seen in your account they are not yours and what u deposited is also lost.when u caht in chat group the messgaes will be deleted.this is what happens in this scam. I request great people of #steem plz report this website to higher authorities and spread this scam news to more people as many people can know and avoid this site because evils are wandering everywhere and around us. it's necessary to spread this news to all steemians to protect ourself from evils. Plz report this site to officials. Thank you @esteem for giving this app to make posts.